If you're reading this, it means that you are a newly registered Bob Casino player, congratulations! Bob likes to welcome all of his guests with 10 free spins for the Book of Aztec slot game with no deposit required! Find out how to receive and use the bonus. For more detailed information, read our Bonus Terms & Conditions. DClaiming the bonus is as easy as it gets, just follow the steps below. 3. 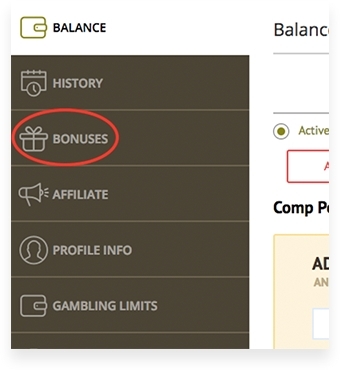 Now, just click Activate and claim your bonus! 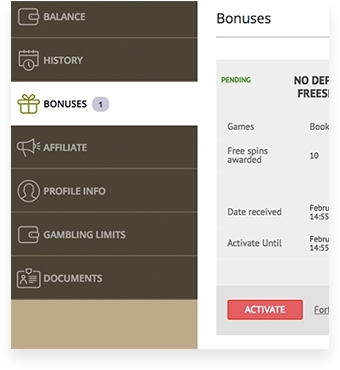 Using the acquired spins is the easiest part, as once you've claimed them, all you need to do is access the correct game - the bonus will be applied automatically. Just go to the Bob Casino game catalog or search the Book of Aztec in the search bar. Once the game is on, all you have to remember is to have fun! 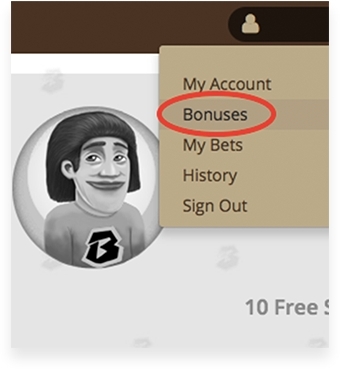 With free spins from Bob, you will surely get a chance to test your luck and get a cut. Have any questions for Bob about the bonus? Feel free to hit us up via live chat or by writing an email to our support team support@bobcasino.com.